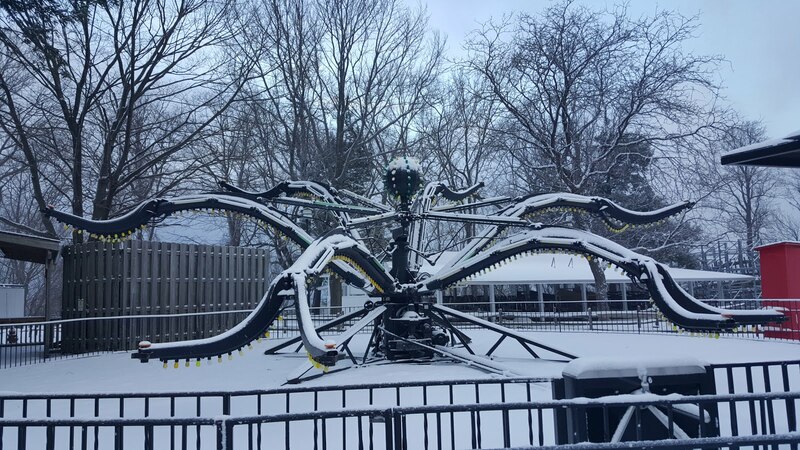 Flashback to December, and the Waldameer and Water World Team was still outside painting and blowing leaves in 50 and even 60 degree weather. 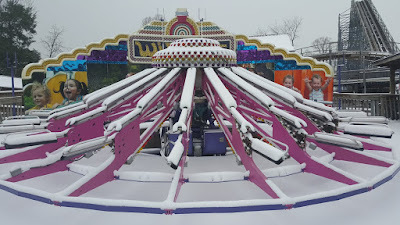 A group of visiting Roller Coaster Enthusiasts even asked us to open some rides! 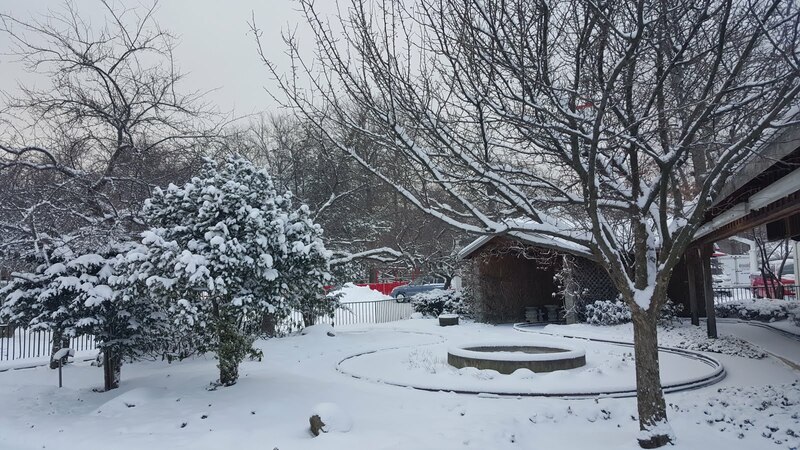 Less than a month later, our mild December turned into a chilly, snowy January. 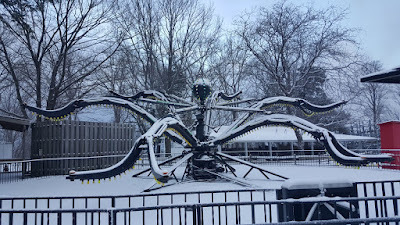 To celebrate the late arrival of Winter, the Third Annual Waldameer Winter Photo Tour is in order. 2016 will be Thunder River's 20th Anniversary. 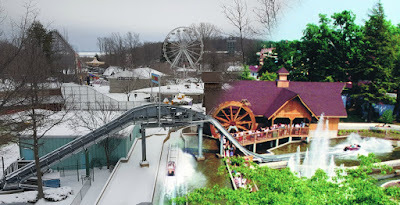 An iconic Thunder River picture from 1996 has been merged with present day, January 2016. 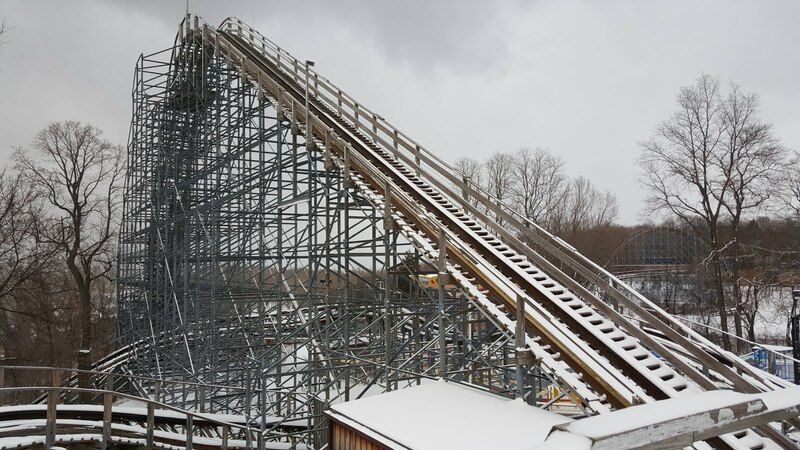 Can you guess which ride is missing on the right side? Beautiful landscaping around Big Rigs only enhanced by the snow. Ravine Flyer 3's fresh paint really pops in under the white snow cover. 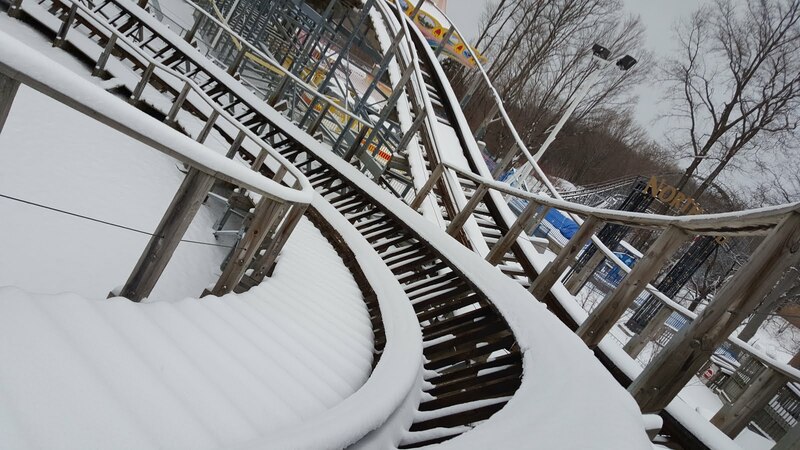 Speaking of fresh paint. 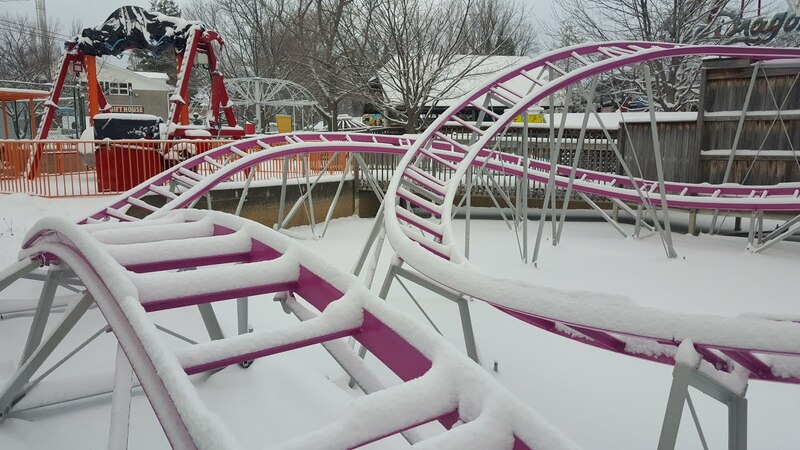 Check out those colors. 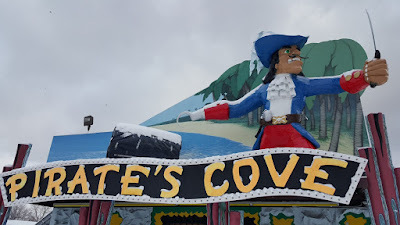 Even more fresh paint for the Pirate! Notice a trend? Promise, last one, but once the snow melts, freshly painted cars make their way back to Tilt-A-Whirl. 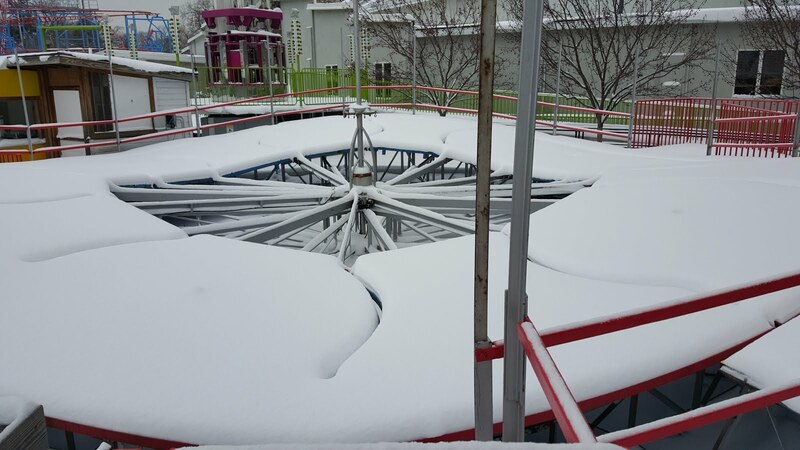 Mega Vortex takes the shape of a taco for Winter. 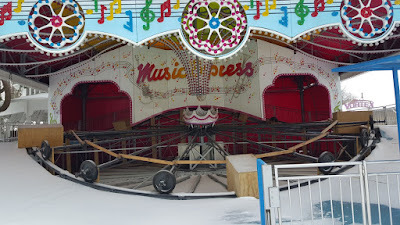 Music Express sans music and a canvas. One might remember how June of 2015 felt like winter in Water World. 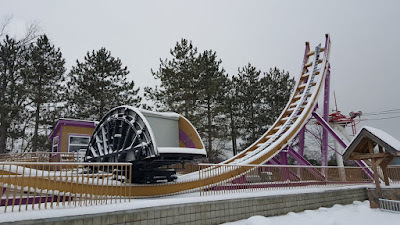 Lake Erie Dip and Presque Isle Plunge doing their best frozen-over impression of the bodies of water nearby. 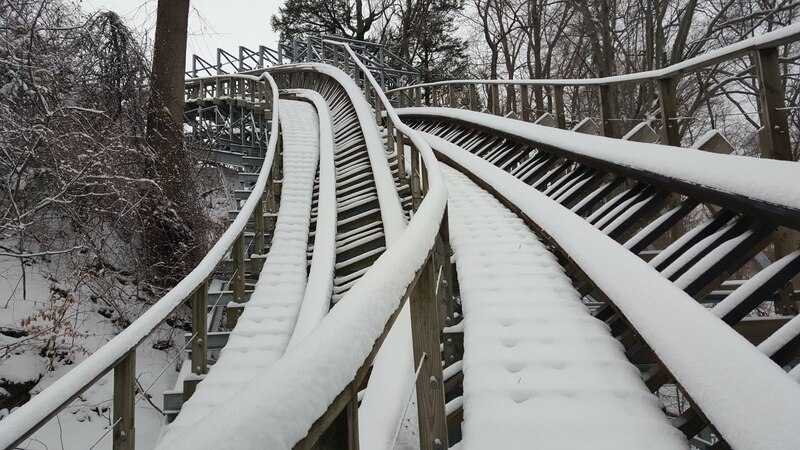 Just like our fireworks, we want our Winter Photo Tour to end with an amazing Grand Finale. 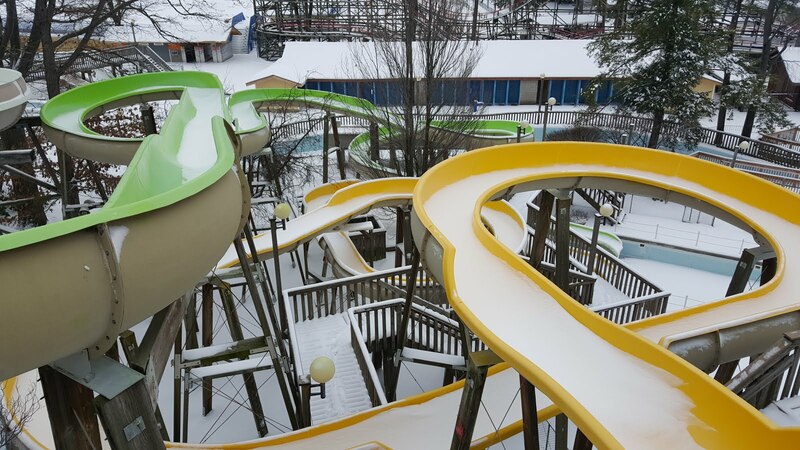 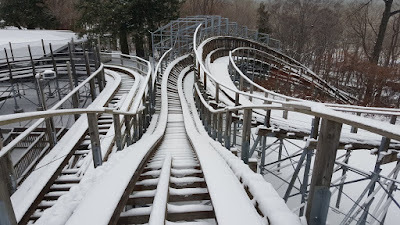 It's almost a tradition to explore Ravine Flyer II in the snow. 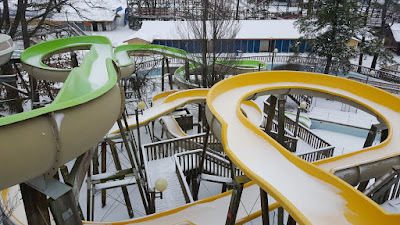 Hope you aren't afraid of heights! Looking backwards from the bunny hop over the lift. 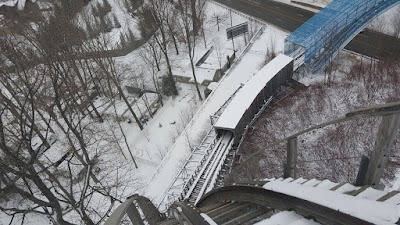 Tight descending turn heading under the lift hill. 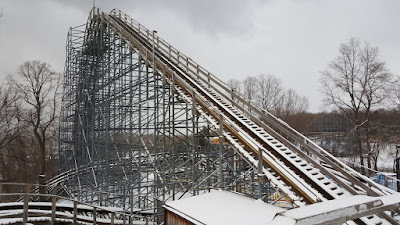 Looking up the largest wooden coaster drop in Pennsylvania. 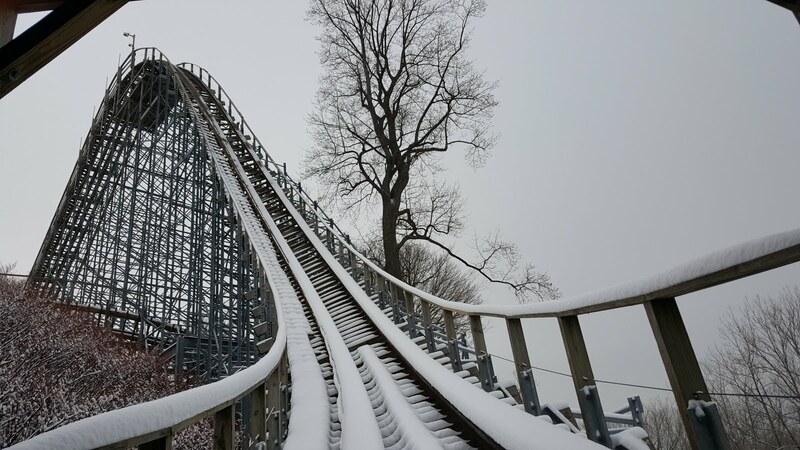 Last but not least, looking down the largest wooden coaster drop in Pennsylvania. 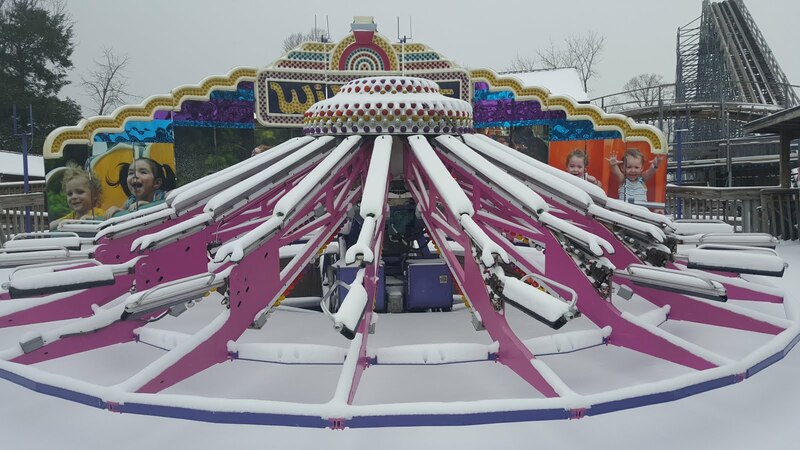 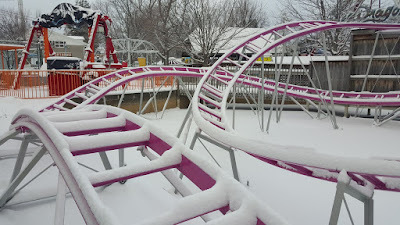 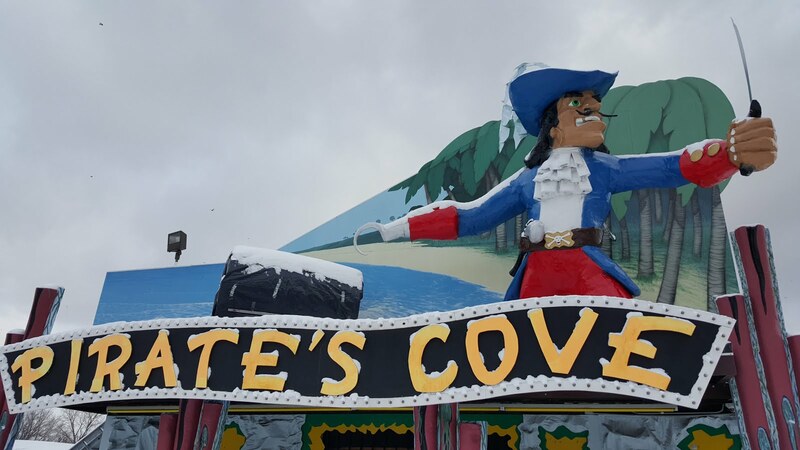 We hope you enjoyed the Third Annual Winter Photo Tour, and while the snow is beautiful, we can't wait to get started on our 120th Season at Waldameer and Water World.